State gets “F” grade for not preventing lead in schools’ drinking water. But lead paint still biggest issue. A report released this week gives Wisconsin an “F” grade for not preventing lead in school drinking water. It was among 22 states to receive a failing grade out of 32 surveyed. The nonprofit, nonpartisan group Wisconsin Environment and the WISPIRG Foundation, who released the report, say the state isn’t being proactive enough to “get the lead out” of schools and day care centers. At the same time, Republican lawmakers are criticizing Gov. Tony Evers’ $40 million bonding proposal to replace lead service lines. 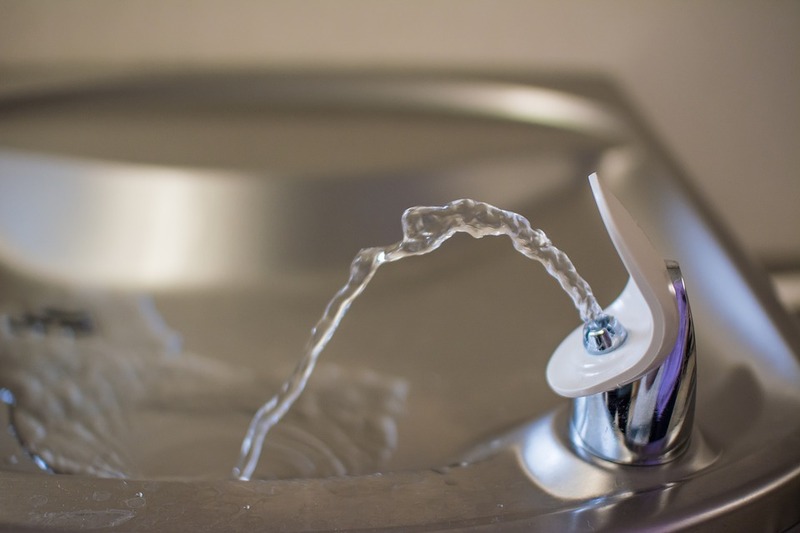 Megan Severson, state director of Wisconsin Environment, said some schools are voluntarily testing water in Wisconsin. However, she said they’re not required to take action to address lead unless levels exceed the federal standard of 15 parts per billion. The American Academy of Pediatrics has recommended states and communities adopt a standard of 1 part per billion for lead in drinking water. Lead exposure is harmful to the nervous system and contributes to lower IQs and behavioral disorders in children. Heather Paradis, medical director of community services with Children’s Hospital of Wisconsin, said 5 percent of Wisconsin kids have high blood lead levels. The most recent state data shows around 4,300 kids under 6 years old who have been tested had elevated levels of lead. Paradis noted those levels have been declining over the years as society moved to unleaded gasoline and banned lead-based paint. Deteriorating lead-based paint continues to be the largest contributor to high blood lead levels in children. However, she added it’s important to consider the individual risks and settings where at-risk groups like children are spending their time. “Especially for those entities, such as schools and day care centers that house babies and young children, that it is likely also good practice to be testing water and utilizing water filters if lead in the water is a known risk,” she said. Dr. Morri Markowitz, a clinician with Children’s Hospital at Montefiore Medical Center in New York, reviewed the study. He said the varying amount and sources of exposure make it difficult to determine what lead levels in water constitute a health risk among children and adults. The issue has become a question of political will as states and communities grapple with questions of how to fund efforts to remove lead from drinking water. Wisconsin Environment and the WISPIRG Foundation are calling on lawmakers to support Evers’ budget proposal to provide $40 million in bonding to replace lead service lines. They’re also calling on GOP Assembly Speaker Robin Vos‘ newly created water task force to develop long-term policies to address lead in drinking water. Assembly Republicans criticized Evers’ plan to address drinking water in a question and answer session with reporters Tuesday. Rep. John Nygren, R-Marinette, expressed concern the vast majority of the money would go to replace lead lines in Milwaukee. Former Gov. Scott Walker announced last year the state would provide more than $26 million as part of plan to replace lead service lines. Even so, Vos, of Rochester, said while the “simple answer” is to say government will pay for lead lateral replacements, he supports a suggestion by water treatment companies like Culligan to install filtration systems in homes. “They had said rather than spending millions and millions and millions of dollars doing lead lateral replacements maybe there (is) a way to do it cheaper and do an osmosis system in a home that would actually solve the problem for drinking water but not have the same amount of money that we spend and have it go further,” said Vos. However, Stevens Point Democrat Rep. Katrina Shankland, who is vice chair of Vos’ task force, said it’s important for the state to be a leader on the issue. The governor’s budget proposal would also allow a nonrecurring revenue limit exemption for schools to conduct lead remediation or abatement if approved by voters, said Dan Rossmiller, government relations director for the Wisconsin Association of School Boards. The Evers administration says the proposed $40 million in bonding could replace about 9 percent of the roughly 170,000 lead service lines statewide, according to the Milwaukee Journal Sentinel. 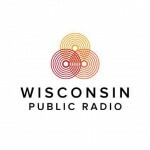 Report Calls For State Action To ‘Get The Lead Out’ Of Drinking Water was originally published by Wisconsin Public Radio. Rep. Nygren almost certainly speaks for his Republican colleagues when he wonders why people in Marinette should pay for something that will benefit, i.e., solve a pressing public health problem, in Milwaukee. Naturally, none of this is about race. But, in Wisconsin, now an epicenter of otherization, Milwaukee = people of color. So, in the minds of otherizers, but never stated because it’s never about race, why should white people in Marinette have their “hard earned tax dollars” go to help the “others,” undeserving minority poor people in Milwaukee? Even if the result of not fixing the problem can result in lasting brain damage to large numbers of Milwaukee children. Or, as another champion otherizer Robin Vos suggests, why not give them water filters and have the whole problem go away, while supporting the free enterprise system by buying from Culligan? Would this be their response if the problem were centered in the WOW counties? In the film The Godfather, the heads of the organized crime families meet to decide whether to traffic in narcotics. Like the Wisconsin leaders, they have clear priorities and take the high road, no drug sales near schools or in their own communities. As one (non-elected) leader says, “keep it in the dark people, the colored, they’re animals anyway, let them lose their souls.” Can we imagine Mr. Nygren saying, in response to a serious public health problem in Cedarburg or Delafield, that the people of Marinette shouldn’t help fund solutions to the problem? Not likely. But, let’s not make everything about race, right? Shame used to be such a useful tool. Too bad it doesn’t work anymore.